Krotos is integrating their world-renowned Dehumaniser vocal processing technology into the upcoming Wanderword interactive audio book project. Dehumaniser wowed Hollywood and the video game industry by making it possible for actors to perform creature sounds in blockbusters like Avengers: Age of Ultron, The Jungle Book, Far Cry 4, and Doom.Now, Dehumaniser Live, the runtime technology that debuted at the 2017 Sundance Film Festival, will enable Wanderword players to play and create audio-based interactive stories. Wanderword “Step Into Your Story”, is a platform to empower people to write, share, and play audio-based interactive stories. The Wanderword app, planned for a spring 2018 launch on leading mobile devices and PCs, fuses the concept of a digital audio book with mechanics of non-linear storytelling.Wanderword offers highly engaging interactive experiences in which players listen to a story and simply speak their desired actions to control and influence narrative branching. 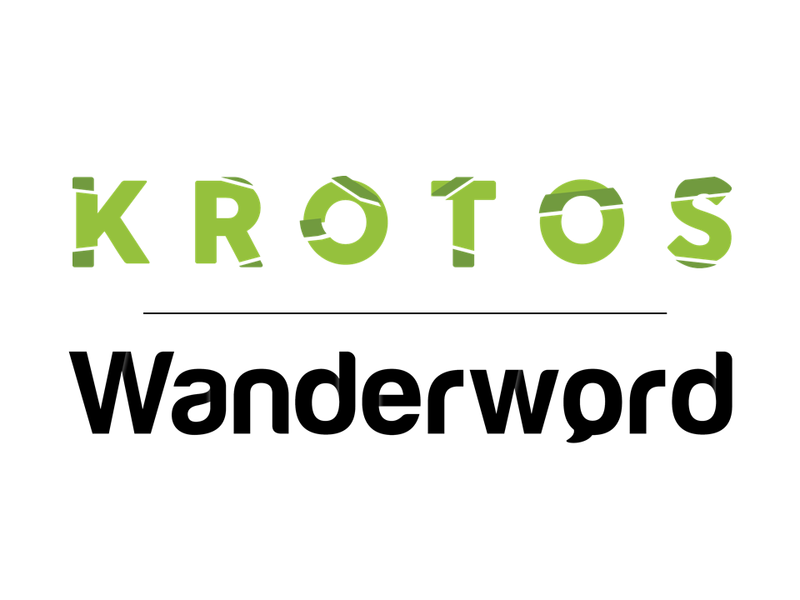 Wanderword founder Peter Zetterberg said, “Krotos has proven their engineering excellence in developing tools for world-class audio manipulation and we are delighted to be working with them. Wanderword is all about enabling players to “step into their stories”, relying solely on audio to establish true immersion, and Dehumaniser will open up a whole new level of depth. We’re looking forward to rolling out the impressive suite of Krotos tools and technologies to our future Wanderword storytellers”. Based in Edinburgh’s bustling tech hub, Krotos develops innovative audio technologies that fundamentally change the way sound effects are designed. Krotos’ flagship software, Dehumaniser, is a unique sound design tool that produces feature film quality monster and creature sounds in real-time. Reformer, Krotos’ latest innovation, makes it possible for sound designers to perform a library of sound effects in real-time. Paula Fairfield, sound designer on Game of Thrones called Reformer “insanely awesome”. In 2017, Krotos secured an angel investment round of funding from award-winning video game pioneer, Leslie Benzies. Peter Zetterberg, with twenty-five years in the video games industry, now director on Microsoft’s Minecraft team, started Wanderword as a passion project in 2012. Wanderword has now evolved into a multi-faceted, genre busting interactive audio book platform, scheduled for launch on mobile on May 2nd 2018. Wanderword © 2012-2017 is a registered trademark of PBJ Synthetics, Corporation. All Rights Reserved. USPTO granted patent 9583106.